Today, I have something completely different to share as part of Harry Potter month, a bit of an experiment if you like! Feel free to let me know whether you love it, hate it, like it or couldn’t care less! Also, fair warning, I am absolutely NOT a nail blogger, so apologies for the photo quality! But the one thing I do love – finding a new colour. Coming home with that new exciting colour and testing it out. So, that led to my experiments with making my own colours. There’s two main methods – frankening (mixing polishes you already own) or making polishes from scratch. I play around with both methods, and I’ve made a Harry Potter inspired varnish both ways this month! I figured Harry Potter Month was a perfect excuse to share my first Harry Potter inspired franken polish! Mother of pearl sheen – I knew this would be hard but I wanted to try anyway! I know this is a huge number of polishes, but I wanted them all laid out so I could see my inspiration before I started! To get an estimate of how much I used – these photos were taken after I made the polish, and each of these bottles was full before I started. Unnamed Claire’s glitter polish which is dark red and black. Overall, I’m pretty pleased with how it turned out. It didn’t really end up with that pearly sheen I wanted (no matter how much of the Rimmel Pearly Queen I added) but I like the effect. It’s a discreet enough colour that I can wear it at work, but up close the glitter really gives it that extra layer, and the colour changes in different lights really give it that complex ‘hidden things’ look I was going for! The scent is pretty much lost in the polish, but I didn’t want to add too much and run the risk of screwing up the mixture, so something for future experimentation I think. All in all, not bad for my first Harry Potter inspired franken! As I said before, this is the first time I’ve posted a bookish inspired polish, and I’d love to know whether you’d like more of these posts/would rather watch paint dry/couldn’t care less either way, so please let me know! Haha yeah, I’m with you, give me a bright (or glittery) colour ANY DAY….or better yet, bright glitters! Definitely not always great for work but I agree about having fun – and better with nail colours than work inappropriate clothing right? 😉 I’m currently loving Sinful Colours nail junkie – a blue/teal glitter I found in Boots for £1.99! (and better yet, on 3 for 2). I almost *NEVER*do my nails but I used to collect pretty nail polish colours. So of course I ADORE the idea of bookish manis! I follow The Bookish Manicurist and always love seeing her book-inspired nails 🙂 Mixing up your own colours sounds like a lot of fun, I can see myself really being into it! Haha me too but I’m really not co-ordinated so I every time I try nail art I screw it up somewhere along the way 🙁 Or even if I can get my left hand to look vaguely decent, I can never get the right to look good! Oh I have a definite weakness for the Rimmel polishes! I think their ‘precious stones’ range – which are super thick glitters, I can even get away with just one coat! 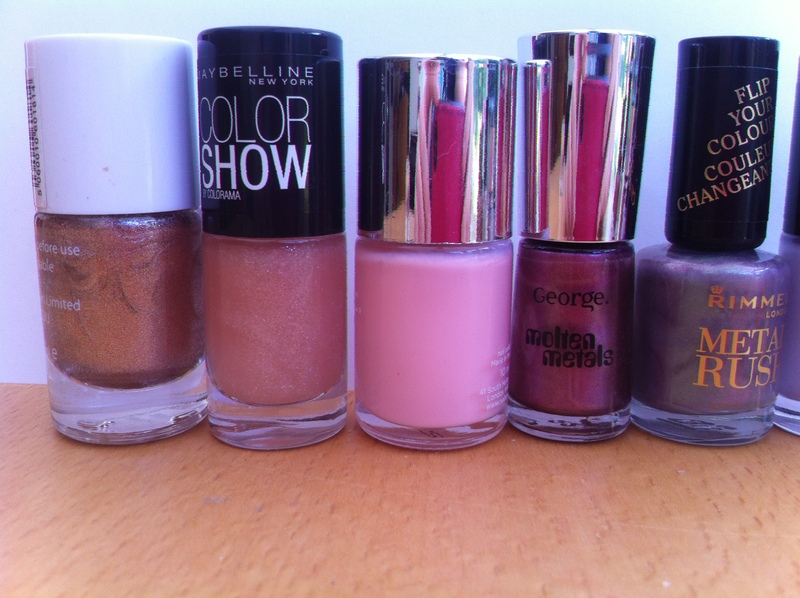 – are my most worn polishes. I’ve not tried Aurora on it’s own yet so can’t speak for the quality of that but I may have also bought Lunar Love (hot pink), Total Eclipse (black/green) and Moon Walking (purple) at the same time. Oops?! They were £1 each in my local B&M one day so I snapped up all the colours they had! Yeah, the scent is pretty washed out, but I didn’t know how much I could add without ruining the formula of the polish. Something to experiment with in future! 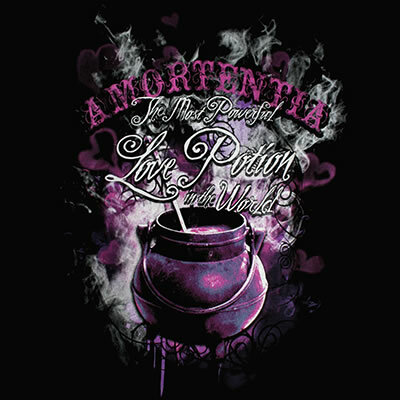 It was one of the overwhelming features of Amortentia though, so I knew I wanted to include it somehow (even if I couldn’t make it smell different to each person). Good luck! It’s lots of fun – but also addictive and occasionally messy!